A few years ago we started using Khan Academy for Ben’s math curriculum. He loves it because he can see exactly how much of his math curriculum he has completed. It motivates him to keep working. When people find out that Ben uses Khan Academy, they ask how to use Khan Academy as a complete math curriculum. Khan Academy can look confusing if you are used to a math book. 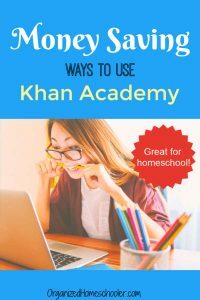 There is a LOT of information on Khan Academy so it is easy to feel lost. 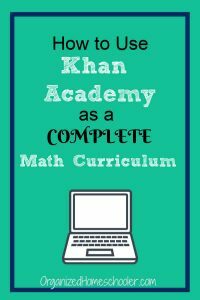 I will walk you through how to use Khan Academy as a complete math curriculum. 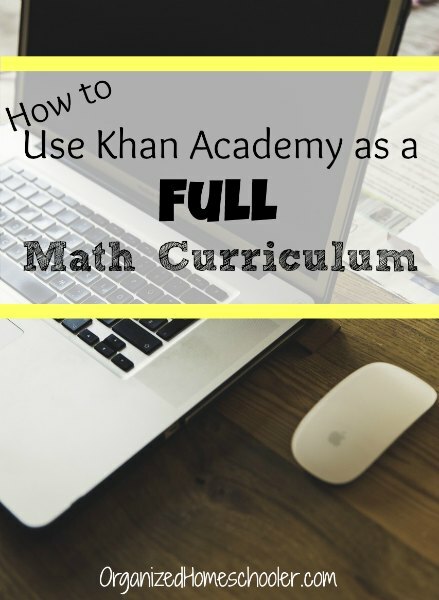 Learn how to use Khan Academy as a math curriculum. 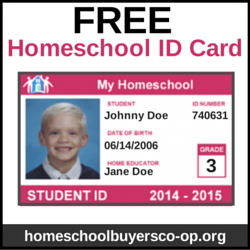 This is perfect for homeschoolers! The first thing you need to do is sign up for a parent account. Choose the ‘Parents, start here’ tab. Enter your first and last name as well as your email address. Khan Academy will send you updates, so be sure to use an email address that you actually check. Check your email and confirm the address. The confirmation email will include a link to create your parent account. Next, you need to set up a child account. You will set up one for each child that you want to use Khan Academy. You will need to enter your child’s birthday because Khan Academy requires parents to manage the accounts of children under 13 due to COPPA laws. Once the birthday is entered, you will be prompted to enter in a username, password, grade level, and gender. Now, log out and let your child log in. When they log in for the first time they will get to choose their avatar. They will only be able to choose from a few options at first, but can change it as they complete lessons. New options will be unlocked at certain progress markers. Scroll down and select ‘Math by Grade’.Choose the grade level you think is best for your child. The first mission is a short quiz, called a mastery challenge, to see how much of the selected grade level math is already mastered. Khan Academy wants to be sure your child is working at the correct level. The correct level won’t be too hard or too easy. Watch a video if they are stuck. Your student is now ready to use Khan Academy as their complete math curriculum! After the first mastery challenge your child will see a screen that shows their progress and what skills still need to be mastered to complete the grade. Of course, as homeschool parents, YOU get to decide when a child has completed a grade, but this is a fantastic progress indicator. As skills are mastered, which is confirmed through the mastery challenges, the progress and skills lists are updated. If a child gets a wrong answer for a skill they have previously mastered, Khan Academy will just add those skills back into the lesson rotation. I made up a new student so I could show you the steps. Each day when your child logs in all they need to do is spend whatever time you require working through the tasks list. I ask Ben to work for a minimum of thirty minutes each day. Occasionally I do teach skills that are difficult for Ben. If he doesn’t understand something after watching the videos, we bust out a few math manipulatives and work through the problem together. Khan Academy is free, so that leaves room in the homeschool budget for manipulatives. Ben loves Khan Academy because it feels like a challenge. The mission progress motivates him to keep working and master the grade level as quickly as possible. His personality type loves a challenge. Hannah started out using Khan Academy, but found the mission progress percentile stressful. She was afraid to answer questions incorrectly because it would deduct from her progress percentile. She is my little perfectionist. It was not a good fit for her personality type. Math Mammoth works much better for her. Luckily, Khan Academy is free so there is no risk to giving it a try. Have you ever used Khan Academy? Do you have any questions about how to use Khan Academy as a math curriculum? Oh I really like this. My daughter likes to supplement her math curriculum so this will great to look into. Thank you for the tips for setting it up. It sounds like a wonderful opportunity, and the price is definitely right. I know my son would freak about the percentages if he missed one…but I will definitely have to keep it in mind for the future. Off to read what you said about Math Mammoth! I already made an account as a teacher. I wasn’t sure if i should use parent or teacher. I just thought maybe I would have more access to things if i logged in as a teacher. 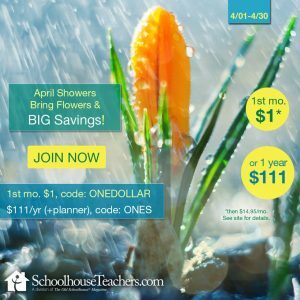 Should i change to parent or stay as a teacher? Either account is fine 🙂 No need to switch. Teacher and parent accounts have the same capabilities. The only difference is that you can set up a student account at the same time as a parent account. How long do you think doing the entire curriculum would take? We are so behind in math due to unforeseen events that I would like to try to utilize this and not have to go too far into summer. I’m not really sure how long the entire curriculum would take. 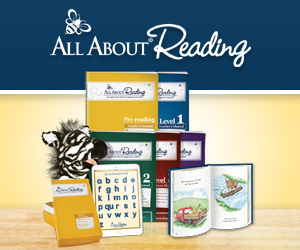 My son does one grade level in one year (Sept. – May) with about 30 minutes a day 4x a week. The great thing about Khan Academy is that the Mastery Challenges allow a student to bypass lessons on topics mastered, so more time can be spent on material yet to be learned. I have a question about KA, my sons love it but upon setting up their missions, I notice that the skills tiles and the “recommended for you” (under the mastery challenge button on the right) don’t line up. This means that they could potentially learn multiplication before 3 digit addition if they chose the tiles on the right instead of the tiny tiles on the left. Do you recommend they use the tiny tiles (that look like the bars from mathusee) or the skills from “recommended for you” ? Also, do they do things like teach telling time with counting by fives? Or is it not really conceptual like that? 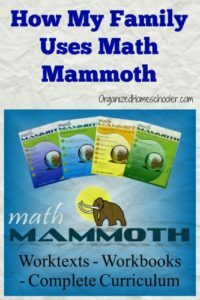 We do use Math Mammoth, is it similar to that material? Thank you so much in advance, I’m having the hardest time figuring out how to make se this! Hi! I usually let my son do the ‘recommended for you’ until he hits a block. If most things seem too hard for him, then I go in and add a few of the other skills. Your parent account will let you add in skills. My son likes to move around, so he does the topics as they interest him. That works for me as long as he gets it all done. Going in order is perfectly okay 🙂 One of the great things about Khan is that you can adapt it to fit your needs. I honestly can’t remember if Khan teaches how to tell time. I know they do cover elapsed time though. I like Math Mammoth too, but Khan seems to move a bit faster for my son. If a topic is easy for him, he can quickly show mastery and move on. My daughter (gr 6) is in a private school (Africa), but struggles with maths. I felt that her math foundation was not all it could be and that her problems will be sorted out if I could find a way to ‘renew’ that foundation. About a year ago my niece told me about Khan Acadmy. I had my daughter start with the Kindergarten math to ensure she got the absolute best out of the program. And I am so glad to say that as I’m typing this she is currently working on gr 4 math (63%!). Considering she does Khan maths only during school holidays and she systematically worked completely through all previous grades I am most satisfied with her progress. She loves the Khan approach and has started using some of the other subject material and showing it to her friends. 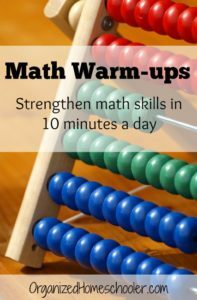 Do you supplement Khan Academy at all with Math Mammoth? Have you had the need? I’ve been using MM but after a Christmas break my oldest who is not a worksheet type wanted to try something different and I set him up with KA then the other 2 wanted to try it out too. (They are 10, 8 & 7) KA seems to go at a much faster pace than MM. I have not mixed Khan Academy with Math Mammoth. I’m sure it won’t harm anything to let the kids work on both, but if the purpose is to supplement the workbook, maybe try selecting the specific skill rather than the default of Khan choosing the next in their progression chart. I found this blog post at a time that I really needed it! My daughter has been using Khan Academy sporadically, but mostly because I wasn’t feeling confident just using KA as curriculum. Thank you for this! I feel like its going to be a perfect fit for us.